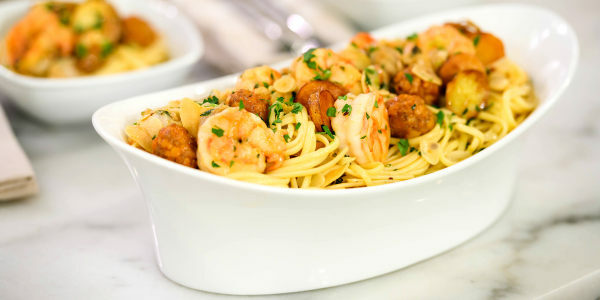 Scott Conant makes the most of leftover pasta and fresh seafood with three easy make-ahead recipes. Who says seafood isn't as good the next day? Juicy shrimp is a clear exception to this myth. Like most classic Italian recipes, sautéed shrimp and cooked pasta can be saved, remade and can taste even better after the flavors have had time to meld. 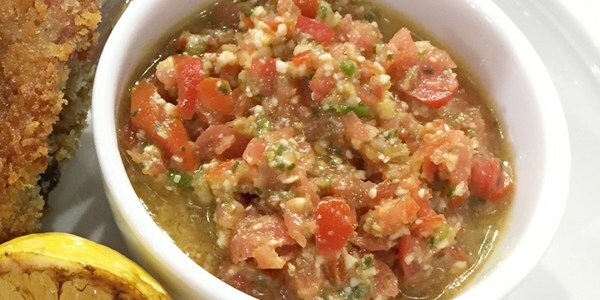 Chef Scott Conant shares his best recipes that make the most out of fresh and leftover seafood and pasta. 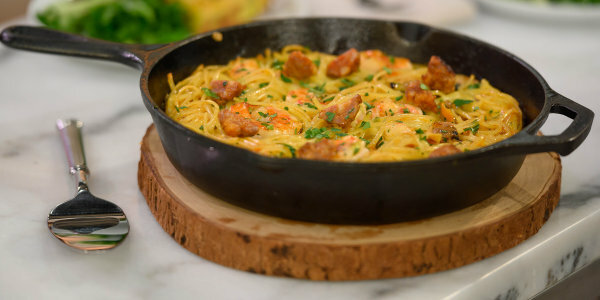 He shows us how to make spaghetti with shrimp and clams, turn leftover pasta into a fluffy frittata and stir up a warming bowl of seafood stew with chorizo meatballs. "Smoky chorizo meatballs are a wonderful foil to the ocean fresh sweetness of the shrimp and clams in this satisfying stew," says Conant. "People always ask me what to do with day-old pasta and this is definitely the best usage. I love the way it takes plain noodles and turns them into a dish that's great for breakfast or dinner." 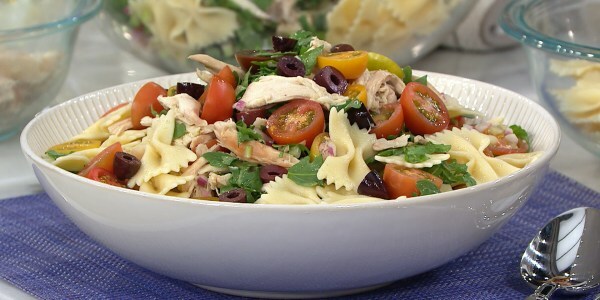 "This quick and easy pasta is a great way to utilize leftover seafood. 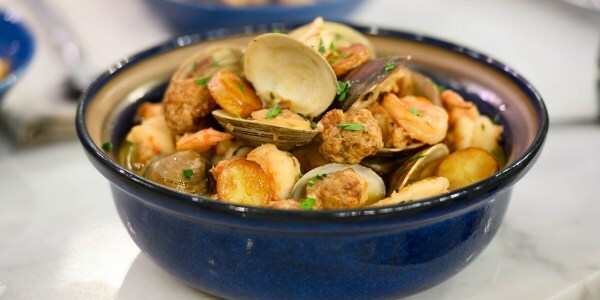 It's also a wonderful way to make a weeknight feel special with a sophisticated seafood meal that only takes minutes to make."